Christmas is my favorite time of year! Everyone seems happier and friendlier – this time of year j ust seems to bring out the best in people. I love the feeling I get when I see decorations go up and people wishing me a Merry Christmas, and thinking of what surprises I can get for my loved ones. 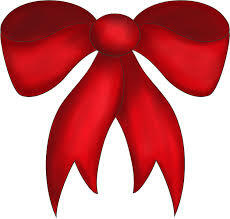 We always go out for Christmas dinner and Mom loves to get dressed up in her finest with her nice red bow in her hair. This morning when I went over for my daily routine Mom didn’t even remember it was Christmas day – even though we had Christmas Eve dinner out last night. She seemed tired and sluggish, but as soon as I mentioned Christmas dinner she perked right up and jumped out of bed to start getting ready – well, she didn’t actually ‘jump’ out of bed but it was the spryest I have seen her in a long time. I never really know what to get my mom for Christmas – she doesn’t ‘need’ anything and doesn’t seem to want anything either. One thing she always mentions though is a picture of my dad in 1945 standing in front of a store with his Air Force uniform on. She loves that picture of him but he’s standing with a friend of his and Mom would have rather just had my dad in the pic. So a week or so ago I sneaked into my mom’s house and borrowed the picture (she didn’t realize it was missing) and took it to a photo shop to see if they could crop it and blow it up. They could and it turned out great! I must say, Mom was moved. And as always, we had a wonderful Christmas dinner with all the trimmings. Oh… and Mimosas! ← Caring For An Elderly Parent: Don’t Eat The Gingerbread House!